Before you start reading let’s see those hands. Both sides please. You call that clean? Are you kidding me? I’ve seen cleaner hands in mud wrestling. Try using soap this time, and I don’t want to see anything but skin under those fingernails. Go ahead. I’ll wait. (A very large foot tap, tap, taps. Eyes rise to scan the ceiling. A puff of exasperation is emitted…waiting) Let’s see. Both sides. All right. I guess that will have to do. Sit down. Go ahead. In the East River, between Queens and the Bronx, and within sight of the largest penal colony in the world, Riker’s Island, lie two tiny islands, South Brother and North Brother. 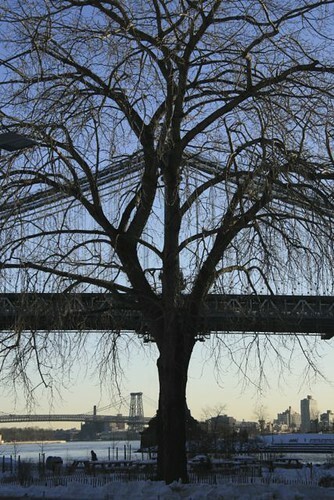 These siblings are currently owned by the New York City Parks Department, and are preserved as a wildlife sanctuary. North Brother now sports a handful of decaying buildings. One must receive special permission to visit, as there is very real concern about the possibility of visitors plunging through rotted out structures. It was famous in its time as a bar-less cage for one particular bird, Mary Mallon, more widely known as Typhoid Mary. Fever is Mary Beth Keane’s novelization of the life of Ms. Mallon, or at least the part of it that gained some notoriety in early 20th century New York City. Although Mary did not suffer from typhoid fever herself, at some unknown point early in her life her body began producing the Salmonella typhi bacterium responsible for the disease, and she would have that dark passenger for the rest of her life. It is likely, a virtual certainty in fact, that she was exposed to the disease at some point, even though she reported never having had it. She was the first person identified as an asymptomatic carrier. In the hubbub surrounding Mary’s detention, legal challenges and impact on the health of those around her, local newspapers slapped the name Typhoid Mary on her and it stuck. These days is it applied to any who spread a disease without themselves suffering from it. Keane opens with Mary being carted away by the Department of Health, itself created in response to the waves of epidemics that followed the Civil War. We look forward and behind from here. Mary was an Irish immigrant, arriving in the US at age 14. It would appear that she brought with her more than just an eagerness to work and some skill as a cook. Her first job was as a laundress, but she found herself handling cooking duties when the usual cook became ill. Over the years, Mary acquired a reputation as a pretty good cook, but it also happened that dozens of people for whom Mary prepared food became ill and some died. She worked in many households, and while not everyone with whom she came into contact became infected, enough did for her to come to the attention of a Doctor George Soper, a sanitary engineer. When a family for whom Mary had been working in Oyster Bay, Long Island, became ill en masse the owner of the property, concerned about the impact of a health scare on his potential rental income, brought in Soper as a consultant to get to the bottom of the infection. He was not a medical doctor but more of a public health specialist. While typhoid fever had been around forever, epidemiology was a relatively new science. In fact Soper had graduated from Columbia’s School of Mines and was trained as an engineer to look for sources of environmental contamination, usually some sort of pollution. The novel presents him as a nemesis for Mary, an avenging angel she is constantly seeking to evade. Keane’s focus is on Mary, though, and we follow her travails, working as a cook, for families in and outside the city, frequently leaving after the households succumb to disease, struggling with guilt over her impact on people, struggling also to retain her freedom. We see her first quarantine, her subsequent release and, later, her return to incarceration. Here she is in 1910. Keane fleshes out Mary’s life with a look at her boyfriend, a German immigrant and alcoholic, named Alfred, a few friends, and the people with whom she worked and resided. This offers Keane a window through which we can see New York City at the turn of the 20th century. This local and historical view is one of the best things about the book. Keane rings a bell here and there for significant events of the day. One is the Titanic disaster, with Mary feeling badly not only for the souls lost and those damaged at sea, but the poor bastards working the docks who would have to handle the incoming remains. This concern with the working class experience permeates the book. We see a very tough time, with people living in extremely crowded, and often unsanitary conditions, having to put up with the restrictions on financial advancement that are a product of the absence of unions, having to cope, with no societal help, with disasters like the death of a breadwinner. One jaw-dropping scene showed how the Department of Health produced vaccines. The most chilling, for this native New Yorker, was a portrayal of the Triangle Fire that offered a vision that would be repeated on a grander scale almost a hundred years later. Very moving stuff. In addition to economic issues of the working class, Keane raises the very real issue of civil rights. When is it ok for the state to deprive someone of their freedom if that person has committed no crime? Mary’s first quarantine was a clear case of preventive detention. Was the Department of Health in the right in imprisoning Mary? What about other asymptomatic carriers? A male breadwinner in upstate New York was released after only two weeks. Why was Mary singled out for such harsh treatment when others with the same issue were allowed their freedom? How much of her incarceration had to do with Mary being female, a poor immigrant and a member of a despised ethnic group? How much did it have to do with her uppityness unwillingness to automatically kowtow to public officials? Consider what might happen today to, say, a Mexican immigrant cook in Arizona, were one to present the same issue. On the other hand, if Mary had responded more calmly when confronted by the authorities and held to her promise to find employment in something other than food preparation, might she have been able to retain her freedom? Did she know the effect she was having on those around her? Did she care? Keane offers some views on that. There was one element of this book that I though presented a golden opportunity that was missed. The story of Dr Soper, love him or hate him, had the potential for presenting a much deeper look at the times. Epidemiology was new and Soper was at the forefront. Coping with illness via construction had come into its own in the 19th century and had yielded impressive results. The creation or improvement of sewer and water systems had reduced mortality considerably. The Board of Health in NYC had only been in existence since 1866, an attempt to address increasing urban mortality. Soper functioned as a private investigator and increasing his presence here might have afforded a richer look at urban environmental changes and health care realities and policy issues of the era. That said, Keane has written an illuminating portrait of a time and place, has raised issues concerning civil liberties, labor rights, class and ethnic bias, and has given every parent a bit more ammunition for use on soap-challenged children. 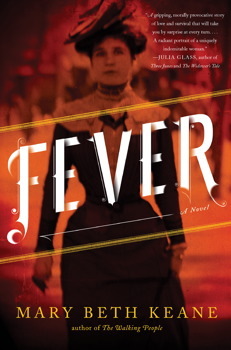 Fever may not be the hottest book of the year, but if you enjoy historical fiction and are at all interested in the history of medicine, public health or New York City, it is pretty infectious. Beyond Typhoid Mary: The Origins of Public Health at Columbia and in the City by David Rosner, is a fascinating look at the history of public health. 8/8/13 – GR friend Jaye sent along a wonderful link so a site called The Kingston Lounge. This particular part of it contains a lot of photos of North Brother in it’s more or less current state, that being abandoned and protected as a bird sanctuary. The photos are way cool, and creepy, the fodder of ghost, zombie, or post apocalypse cinema.